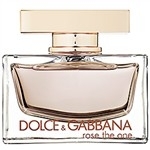 Fragrance Notes: Pink Grapefruit, Mandarin, Peach, Muguet, Bulgarian Rose, Peony, Geranium, Madonna Lily, Plum, Ambrette Seed, Vanilla, Amber, Musk. I love this fragrance. I have already gone through two bottles and I will be ordering a third one. Fresh and lovely. I would definitelly recommend this perfume. It persists, it's a combination of floral and sweet, perfect for any occasion! Good , Can use durring the day, but mostly at night.